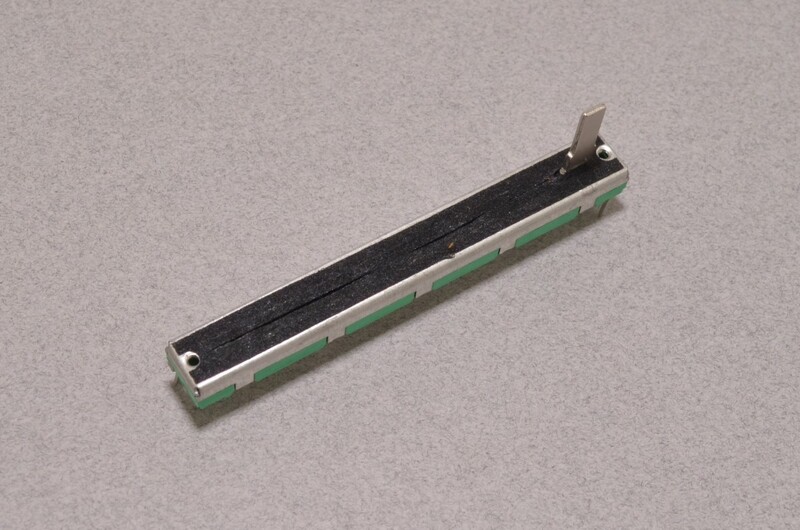 The metal slider has a nice smooth feel and fits knobs with a 1 x 4mm slot. 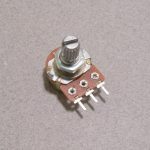 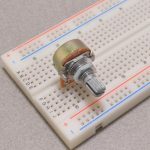 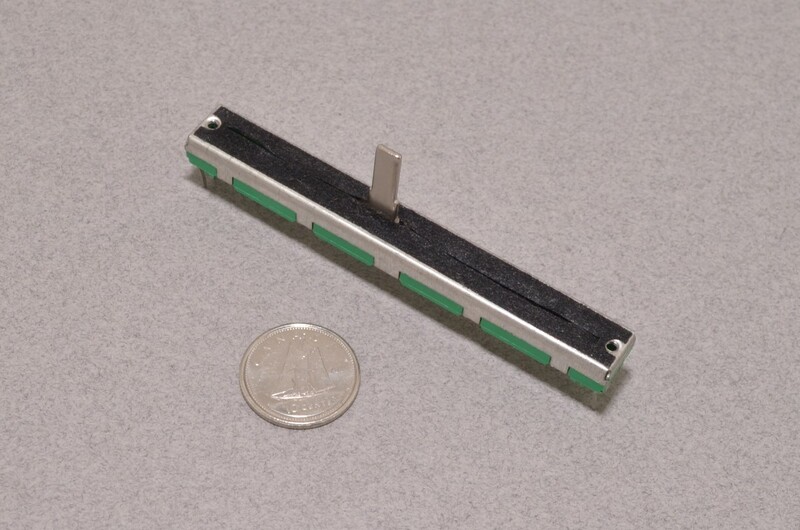 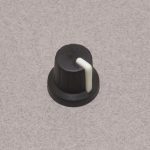 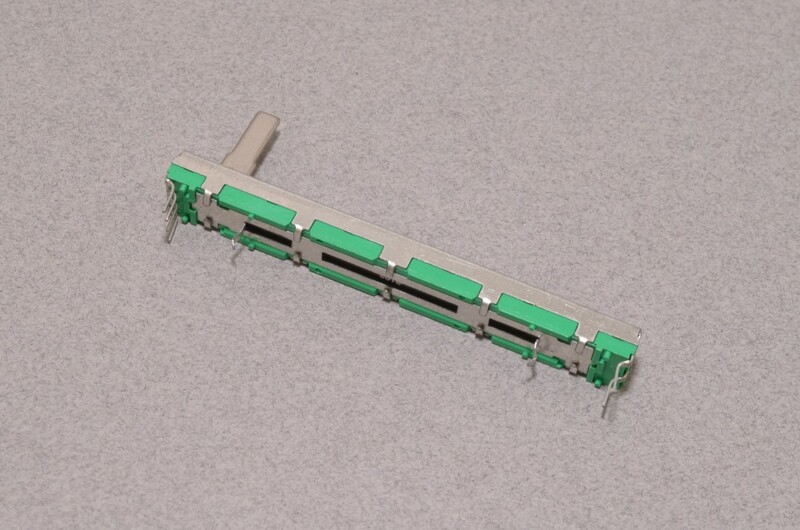 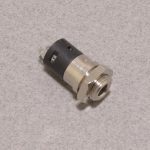 The slide pot can be mounted in a PCB or by way of the 2 threaded M2 holes on the front face of the potentiometer. 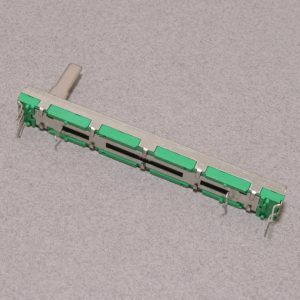 SKU: POT-013. 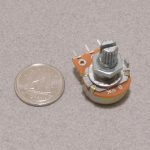 Category: Potentiometers. 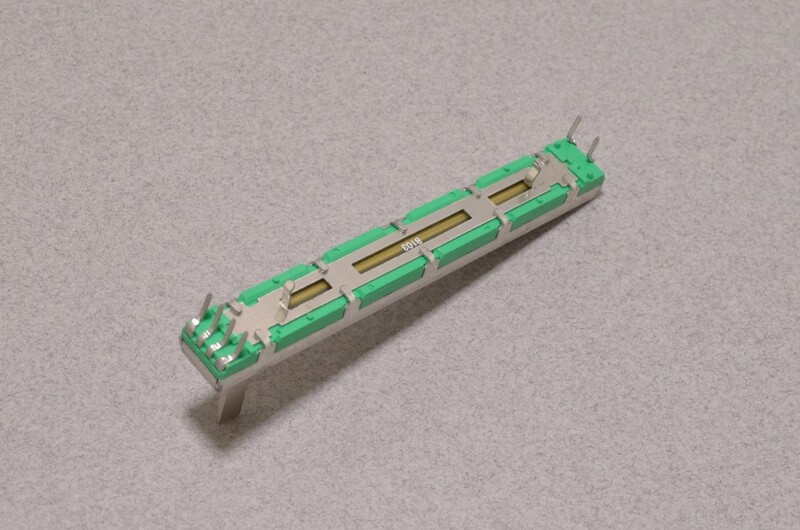 Tags: Light Packet, Potentiometer.